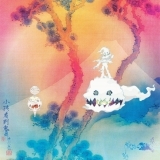 The best album by Kids See Ghosts is Kids See Ghosts which is ranked number 795 in the overall greatest album chart with a total rank score of 3,174. Kids See Ghosts is ranked number 680 in the overall artist rankings with a total rank score of 3,177. Members who like this artist also like: Vein, Creeper and Eliza Carthy & The Wayward Band. This may not be a complete discography for Kids See Ghosts. This listing only shows those albums by this artist that appear in at least one chart on this site. If an album is 'missing' that you think deserves to be here, you can include it in your own chart from the My Charts page! Showing latest 5 ratings for this artist. | Show all 23 ratings for this artist. Of all the albums I bought or listened to in 2018, this duo’s album impressed me the most by far. The production is flawless and the songs are so catchy to the extent that they really get in your head - like real ear worms. Just an awesome effort by this duo regardless of the length of the album - I really hope they collaborate again soon for KSG2 [95/100].